What’s a seven letter word for flavor? 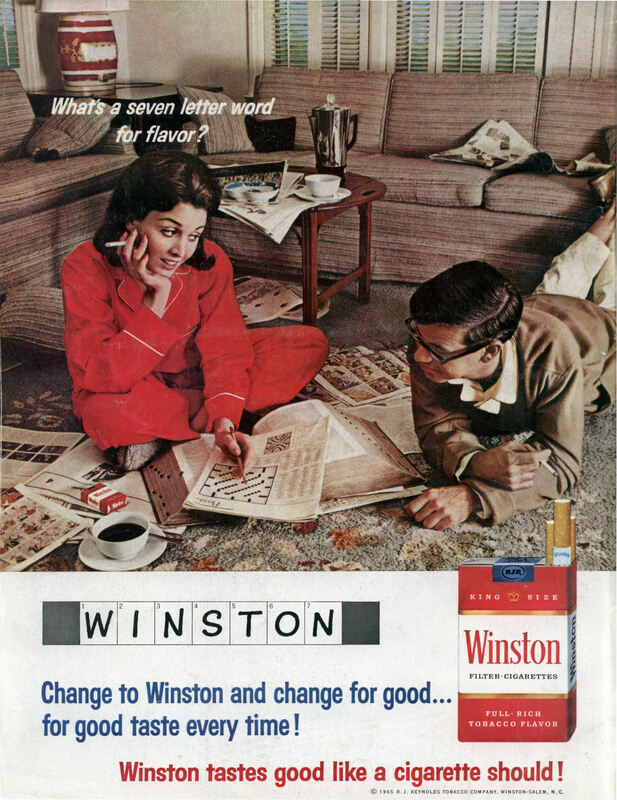 Change to Winston and change for good… for good taste every time! “What’s a seven letter word for flavor?” FLAVOUR! Learn to bloody spell! Well I’ve always spelled it Flavor, but I was fascinated by the percolator on the coffee table. I haven’t thought of those in years. The neat thing about all the advert’s in the last 100 years, they have provided a historical record like never before.